National Beer Day is celebrated in the U.S. every year on April 7, marking the day the Cullen-Harrison Act was enacted after having been signed into law by President Franklin D. Roosevelt in 1933. Upon signing the legislation, Roosevelt made his famous remark, "I think this would be a good time for a beer." The law went into effect, allowing people to buy, sell and drink beer containing up to 3.2% alcohol by weight. People across the country responded by gathering outside breweries. On that first day, 1.5 million barrels of beer were consumed, inspiring the future holiday. 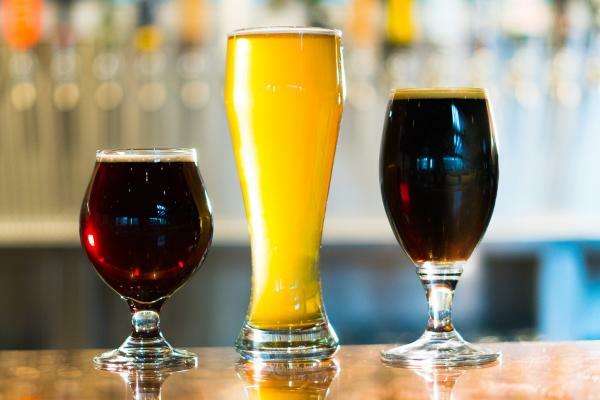 If you&apos;re looking for a place to celebrate in Frisco, here are 5 Frisco spots serving up a variety of brews. 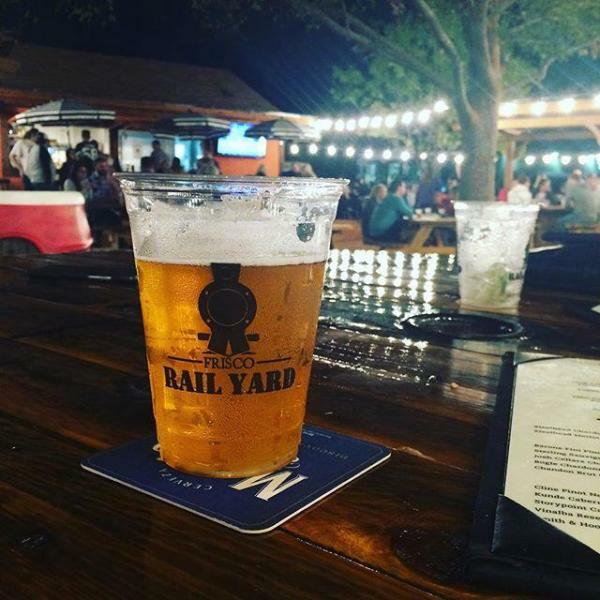 Situated just north of Main Street in Historic Downtown Frisco, the Frisco Rail Yard is a food truck park that offers a selection of rotating food trucks, craft beer and live music. This local spot is a great gathering spot for soaking up some sun with friends, birthday parties and happy hours. Even though the food trucks rotate, you can always count on drinking a cold Blood & Honey from Revolver Brewing Company at the Rail Yard bar. It&apos;s an easy-drinking summer ale brewed with blood orange peels, honey and spices. Live music and craft beer, It really doesn&apos;t get more Texan than this! Got a hankering for some down home cajun cookin&apos;? This Frisco staple has local beers on tap that rotate seasonally and will help that bowl of chicken and sausage gumbo go down even easier! In true Louisiana fashion, the Gator offers a wide variety of Abita beers. In my opinion, you can never go wrong with the Abita Turbodog. It&apos;s a dark brown ale that has a rich body and a sweet chocolate, toffee-like flavor. It&apos;s low in IBUs so if you&apos;re looking to stay away from that hoppy aftertaste, this is the beer for you! Nothing like a little eye-hand coordination to work up a thirst for some tasty brews. @nerdvana food + spirits an unpretentious upscale restaurant and bar focused on contemporary American dining, delicious craft beer and video game culture. This is the place to go to watch the latest e-sports tournament or if you just want to play your friends on a gaming console set to free-play. And let me tell you, nerds know how to drink some craft beer! 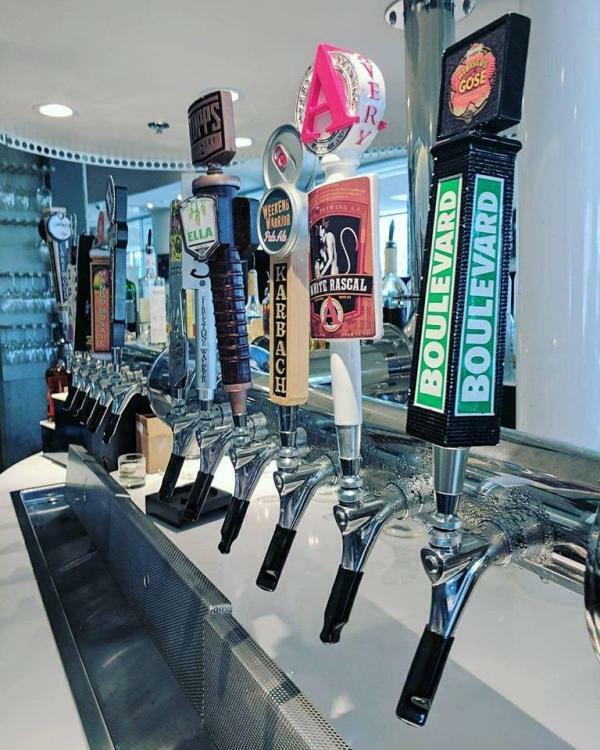 @nerdvana offers probably the most eclectic collection of craft beer in Frisco, spanning from local metroplex options all the way to the UK and Germany! A must try is the American Imperial Stout, Dragon&apos;s Milk. And this Dragon has some FIRE....10% ABV fire. Drink responsibly. This little piece of burger and beer heaven sits on Legacy Drive and serves up some of the best hickory grilled burgers, spiked milkshakes and cold craft beer you&apos;ll find in Frisco! Are &apos;big&apos; beers up your alley? Order a freezing cold (literally grabbed from the deep freezer) schooner of your favorite craft beer next time you stop by, I know you won&apos;t be disappointed. My favorite is the hickory grilled, pepperjack guacamole burger paired with a schooner of Franconia Amber....my mouth is watering just thinking about it! 90....yes, 9-0...beers on tap, big screen TVs every direction you look, rooftop patio and did I mention 90 beers on tap? Located at The Star, City Works serves classic American food with modern twists and runs the gauntlet with every style of beer you can imagine...even fruited and sour beers. Fun fact: 40% of their taps are dedicated to local breweries! Some of our favorites include Big Bend Brewing Co.&apos;s Hefeweizen, Lakewood Brewing Co.&apos;s The Temptress and Deep Ellum Brewing&apos;s IPA. As always, we remind you to please enjoy the National Beer Day celebrations responsibly. Be sure to arrange for a Designated Driver ahead of time. Ride share companies, as well as taxi services are available throughout Frisco. For a complete list, head on over to our Transportation page. Wesley serves as the Communications Manager for Visit Frisco. In this role, she manages media relations and the Visit Frisco social media channels. She loves to travel, cheer on her favorite sports teams, enjoys the great outdoors and LOVES queso. Fun Fact: Wesley is the great-great-great-great-grand niece of the 11th U.S. President, James K. Polk.